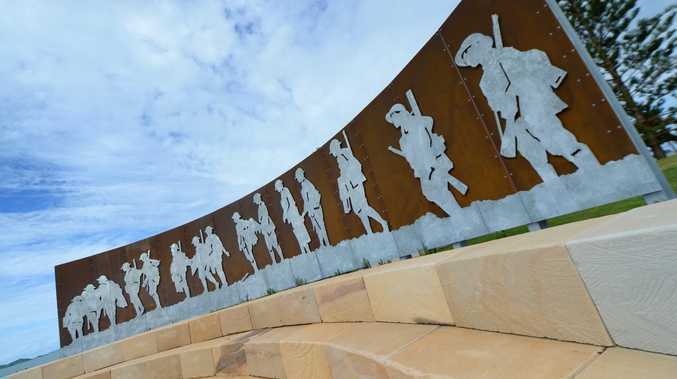 LIVINGSTONE Shire Council's Deputy Mayor, Graham Scott, says the council has requested $950,000 in State Government funding through the Building Our Regions Program to help complete the Emu Park Anzac Place and Memorial Boardwalk. The submission to advance the second stage was lodged last week. "The total value of Stage 2 is $2.25 million with council making provision for $1.25 million in partnership with likely private sector and community group support from the Emu Park Bendigo Community Bank, Lions Club and RSL Sub-branch," Cr Scott said. "The scope of the Stage 2 project will include an extension of the boardwalk to Fishermen's Beach and the Singing Ship Monument, to be completed in time for Anzac Day 2016. "Depending on the funding commitment from the State Government, the project will also provide for pedestrian linkages to the Surf Lifesaving Club and Town Centre by December next year. "Council is also working with members of the Anzac Precinct Steering Committee to apply for additional funding for a proposed Indigenous ANZAC Memorial to be located at Peace Park. "This will include feature stone seat walling, memorial plinth, discrete gathering area and space for a WWI honour roll to commemorate our indigenous soldiers," Cr Scott said. "We have had excellent support from State Member Brittany Lauga and council is very confident of securing the matching State Government funding support," Cr Ludwig said. "We are planning to hold an open day in early October at the Emu Park Cultural Hall to unveil the overarching draft Emu Park Foreshore Revitalisation Master Plan." Proposed equal access pathway links from viewing deck to Singing Ship terrace level and connection to Hill St.